Another patent for diffractive optics (DO) super telephotos has appeared. This seems to be a subject of ongoing R&D inside of Canon, with several patent applications listed for these lenses using diffractive optics. There was a rumor about super telephotos for the RF mount using Diffractive Optics, perhaps this is related. For supertelephoto lenses, the back focus is so large, that the lens could be made for just about any mount. 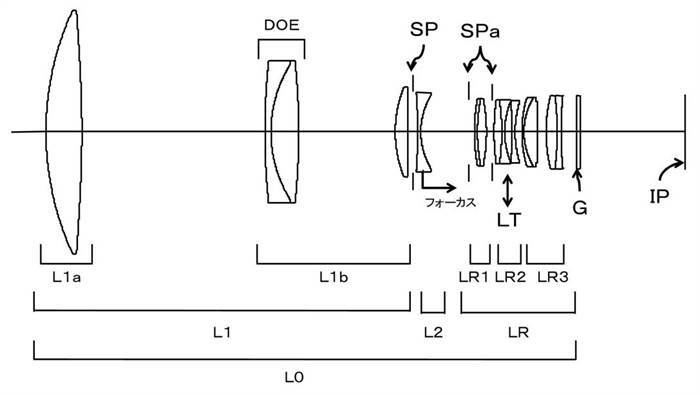 This patent application describes two lens embodiments, one for a 300mm 2.8 and another for a 400mm 2.8 DO supertelephoto.